Tis the season! While most of us are trying to enjoy the season in between the hectic schedules of Christmas with family and tidying up our end-of-the-year reports, Christmas cards are one way your corporation can reach your audience and leave a lasting impression into the new year. 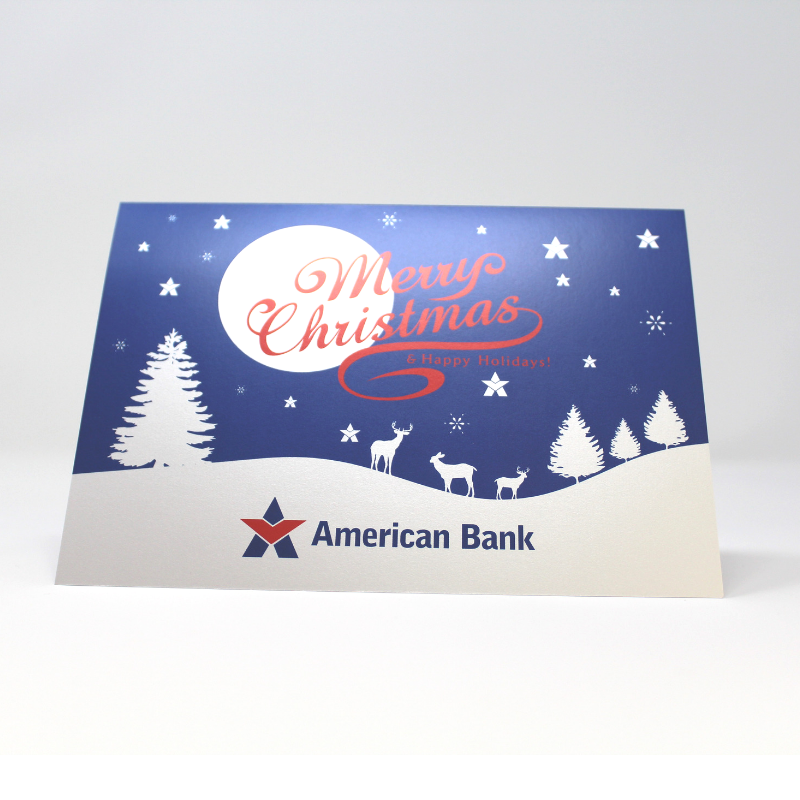 Check out some of our favorite custom business Christmas cards created and produced here at Integ. Audience. First ask yourself, who is your audience for your Christmas card? A select few donors or top spending customers? All your customers? Most of the time, this audience is one you’d like to Thank for the year of their loyalty and showcase your appreciation for all that they continue to do. Share with your designer what you’d like to reflect in your design. More than likely, a creative designer can take your idea and pull out a beautiful piece that not only reflects your brand but makes your customer “ooh” and “ahh” over such a beautiful Christmas card. Snow or Vintage Christmas Paper Stock? Next, you’ll need to choose the right stock. Choosing the right stock can really enhance your corporate Christmas card. Shiny reflective stocks create a premium look and feel for your audience. Integ’s collection of stocks range from subtle shimmer to really bright or if you prefer a vintage look, a kraft stock or even a wood card stock can reflect your brand and impress your customers. Design to Impress. After choosing a stock, share your choice with your designer so they can use it to enhance the ink on paper. When approaching a design for a Christmas card staying true to your brand in a creative way while still spreading holiday cheer is most often the goal. Take the 2017 American Bank Christmas card for example. Integ’s top designer chose to showcase the logo as the star on the Christmas tree offering one of a kind design that impresses the brand using their colors. Add Value by Personalizing. If you are looking to really make a statement, variable printing could be a great option. 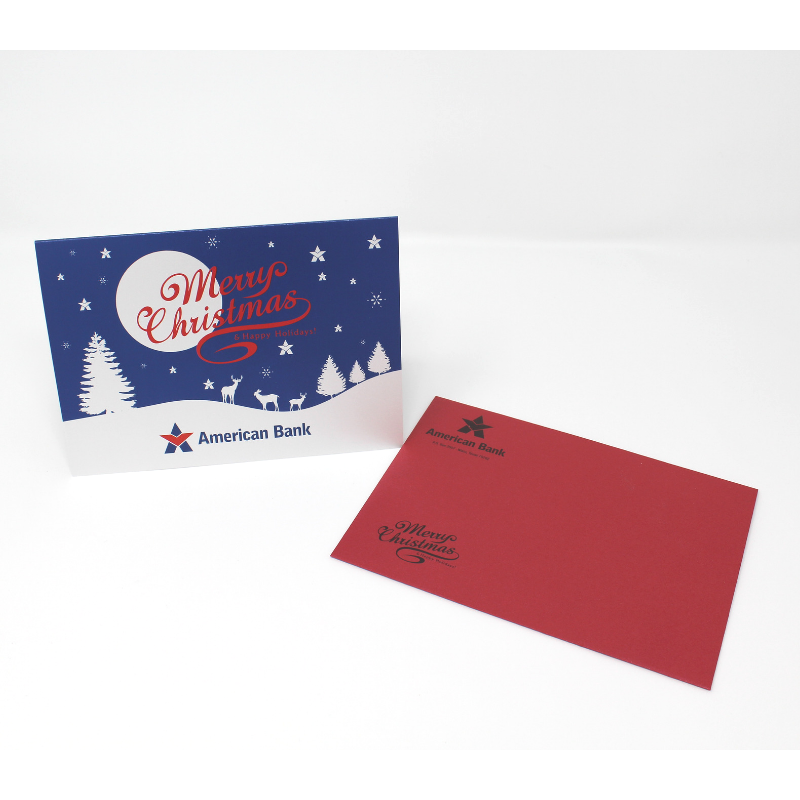 If you want your Christmas card to be kept, think about personalizing with their first name or company name on the front. 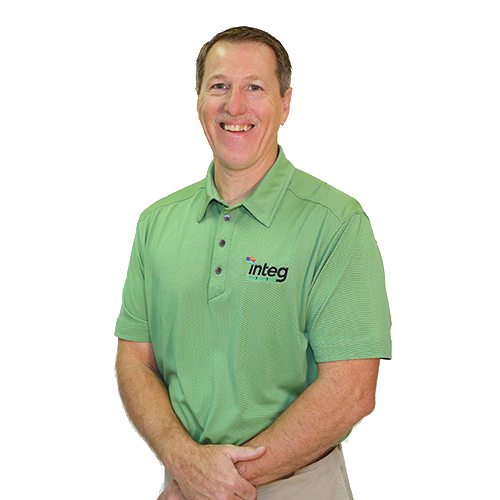 Integ’s design and prepress team work together to add variable print options. You would just offer the data on an excel spreadsheet to upload so we can match the names and the envelopes. Embellishments please. Emboss, debossing, spot varnish, white ink, and clear ink. We do it all here at Integ. 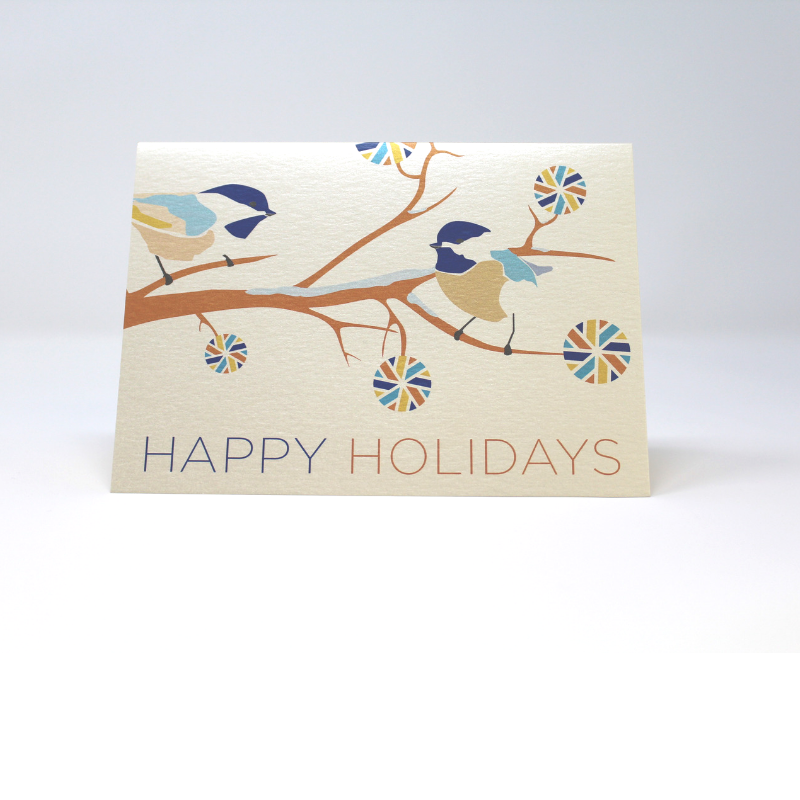 Be Bold with add ones like these and make your Christmas card one that’s remembered. For examples of these, see examples here. The envelope. Speaking of envelopes, did you know USPS has a specific request with first-class presort or stamp mailings? Depending on your needs and budget, Integ’s bulk mailing house awards our customers to option to send mail at a cheaper rate than mailing them yourself. With this option, be aware that you may need to use an envelope that’s lighter in color to make sure the USPS system can read the bars that come with first-class presort. If you are looking to send First Class with a Christmas Stamp, we got you covered! Our fulfillment department can hand insert each Christmas card with a Christmas stamp of your choice just as if you hand stamped them yourself. Spread the Cheer. After you choose Integ to create Christmas cards, you’ll see why our customers come to us every year to brighten their clients day and beautifully impress their brand and appreciation to the best part of their business, their customers. Share your card on social media and tag Integ! Take the pressure off! 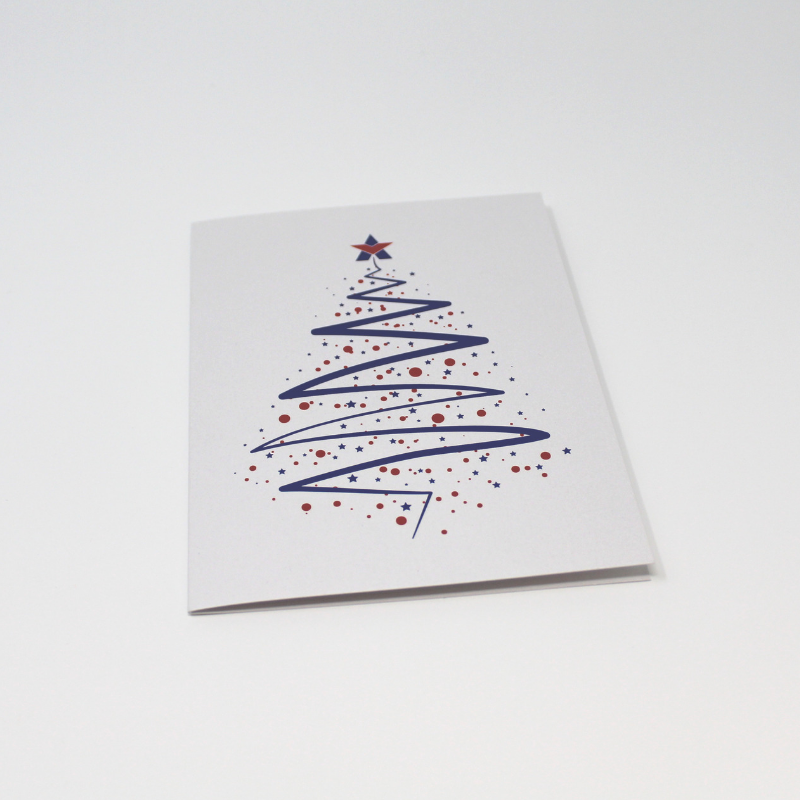 Create and mail your custom Christmas cards with Integ. Where your project stays under one roof the from design to the mail stream, we take care of it all. Reach out to us today to get started or to get a quote!